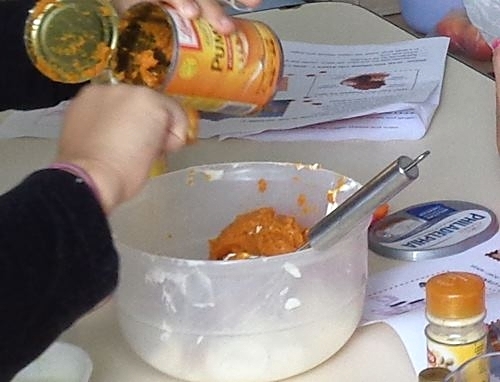 Cook-Speak-Learn with Mira: HARVEST PUMPKIN DIP - Vivre l'anglais avec Mira. 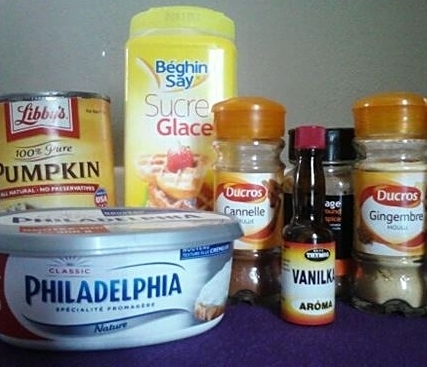 Harvest pumpkin dip is good not only on cookies, but it is also wonderful with autumn fruits. With my learners of English, we always opt for the latter - a healthier version of this popular recipe. For many of them, the combination of thick cold sauce with fruits is a discovery in itself. Add spices, and the surprise is complete. And the children's reactions? 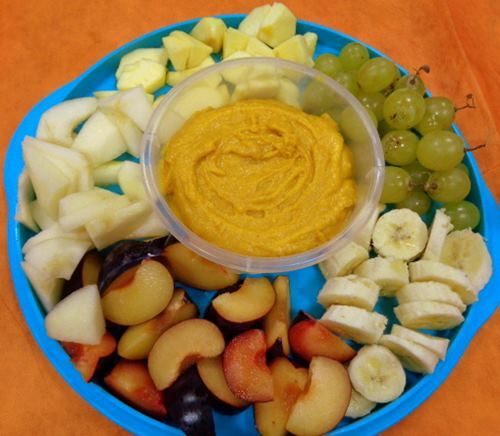 One for all: "I've never eaten so much fruit as with this dip!" SO YUMMY! 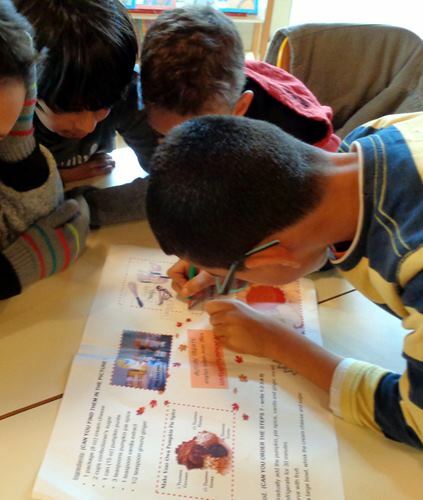 Une recette haute en couleurs, ainsi que saveurs et parfums inatendus - une découverte culturelle complète pour mes jeunes anglicistes devenus apprentis chefs. 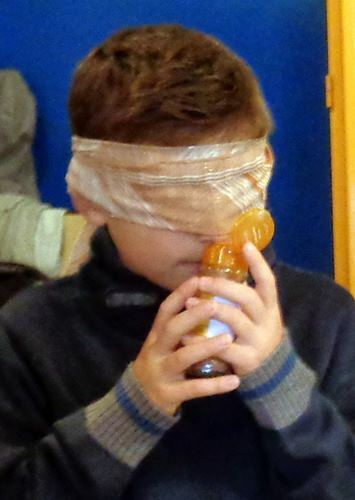 Conquis par cette séance d'apprentissage par expérience directe, nous en avons programmé d'ores et déjà une par saison. 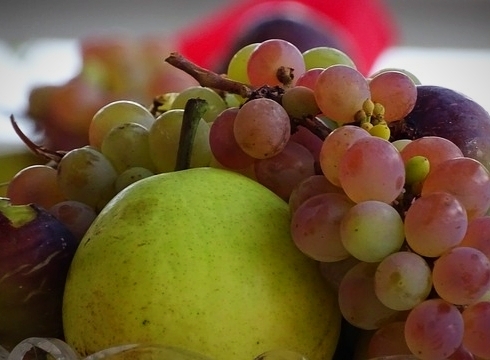 My recipe for an exquisitely autumnal English teaching and learning experience. Some of these can be easily converted into follow-up activities if you prefer the culinary experience to come first. 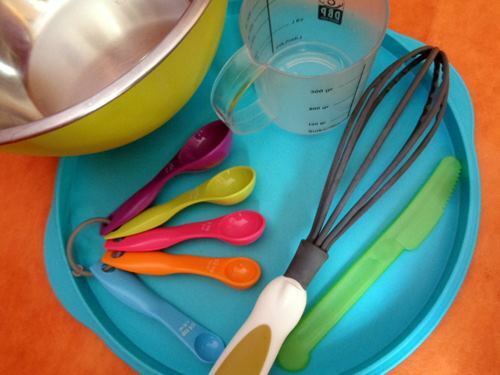 Split the bunch of learners in 2 or more teams, add a task to each, mix carefully and keep an eye on what's cooking. Team A is charged with washing, coring, cutting and arranging the fruits on a presentation plate (be just happy when some pieces disappear during this process - it's a good sign!). 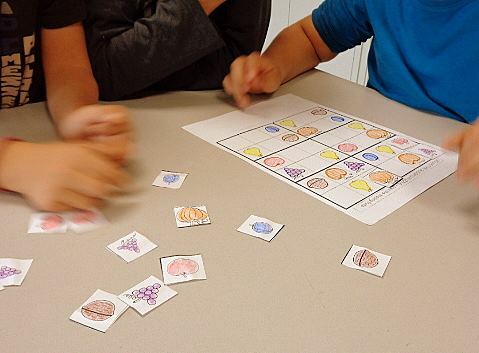 If, depending on the size of the class, more groups are needed, split Team A's task among several groups giving them just one or two sorts of fruit to prepare. Team B is trusted with measuring and mixing the dip ingredients (remember to include some muscled young men in this group - you won't regret it and they really enjoy it). 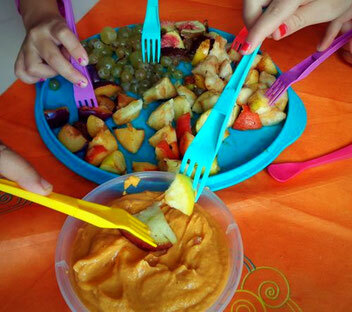 Enjoy your, now seasoned, little chefs' English while discussing which fruit/dip combination is the best. Savour their reactions to these new tastes ;) BON APPETIT! 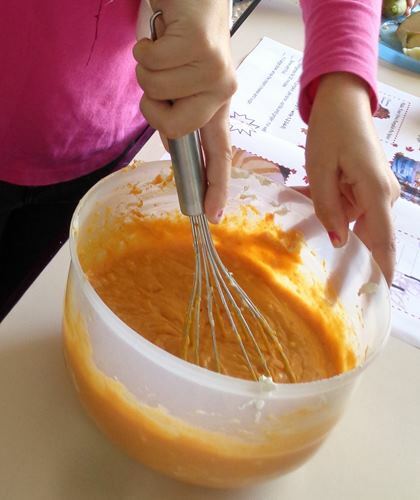 Making harvest pumpkin dip is a great occasion to apply the 'learning by doing' approach. 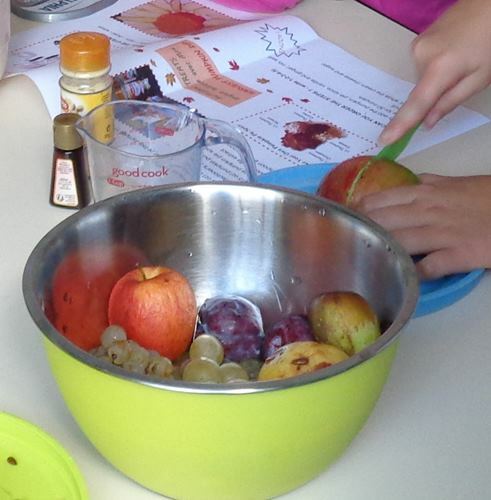 Learners use and learn the names of fruits and some other foods, kitchen utensils and cooking verbs. It's also another of the many opportunities to practise talking about likes and dislikes. 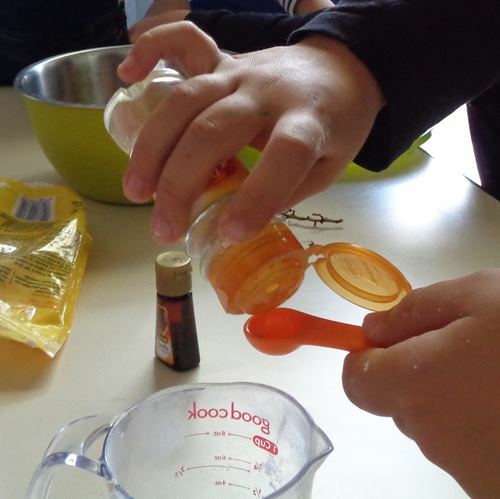 They also discover specific cultural features, such as measuring the ingredients in cups, spoons and ounces and unexpected tastes. 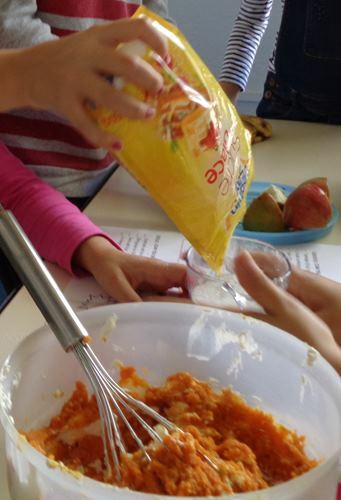 And, last but not least, the young learners' culinary skills get improved while their minds open to new experiences. What do I like in this recipe best? It's extremely fast to make and always a success. There are many variations of this dip, so you can adapt it to your taste and to the season of the year. I still prefer the original one for two reasons: It reminds me of the iconic pumpkin pie taste and, where I live, the gastronomic surprise is guaranteed!